This part of the neighborhood used to have many schools. A number of them still stand. A view of the Amalia van Solmsstraat, near to house number 130 (approx. 1935). 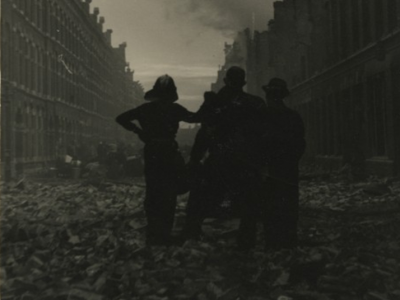 To save household effects from the conflagration they were removed from the houses up to number 109 (4 March 1945). The foundations of numbers 108 to 124. 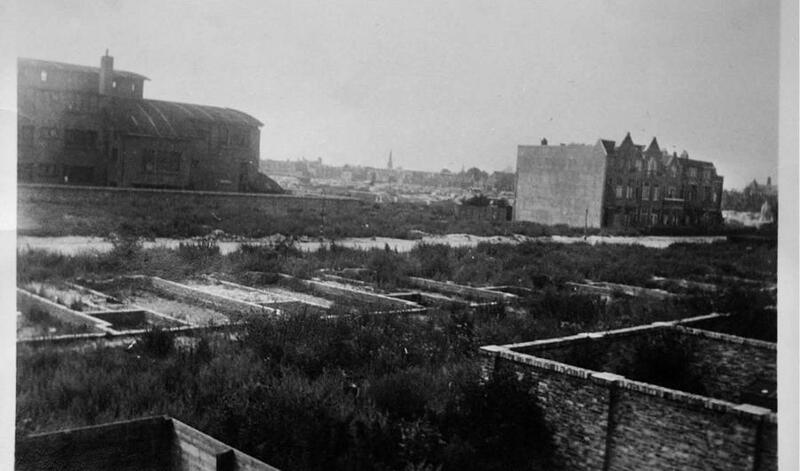 Houses with the numbers 107 to 115 still stand today en can be seen on the right (approx. 1946). 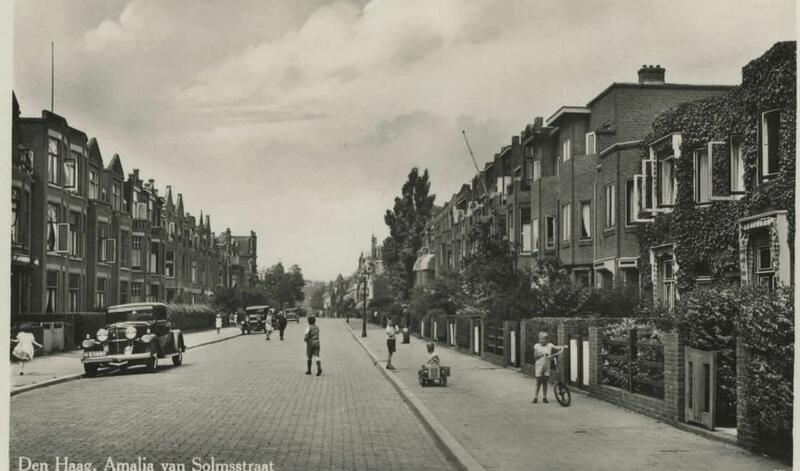 Before the war, the Amalia van Solmsstraat ran from the Schenkkade to the Theresiastraat. It was a street that contained a lot of large mansions and a school. The Roman Catholic school Liduina was build in 1920, on the same side as the Schenkkade. Initially it was a mixed school, but when the Bavo school was opened in the Queen Sophiestraat in 1922, the boys moved here. The school served as accommodation for soldiers during the mobilisation of 1939. A gas and bomb-proof shelter was built in the basement. The pupils were given lessons in other buildings until June 1940. 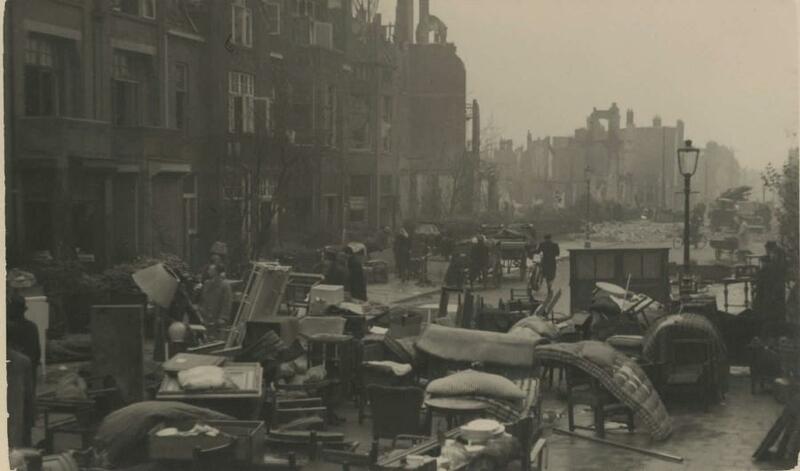 Most of the Amalia van Solmsstraat was completely destroyed during the bombing. Only the school and a few houses in the Louise de Colignystraat were spared. The houses opposite the Liduina school are post-war constructions. They were built on the foundations of the destroyed buildings and completed in July 1954. The section of the street between the Juliana van Stolberglaan and the Theresiastraat was widened during the reconstruction and was renamed Koningin Marialaan. 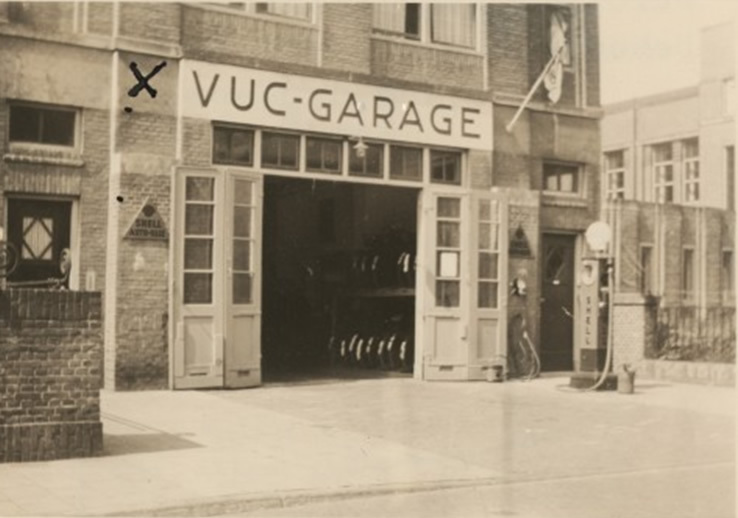 "the fire hoses could not get into the street"
Adapted from an eyewitness account by Mr Heijnsbergen, voluntary fireman from Zaandam, 4 March 1945. 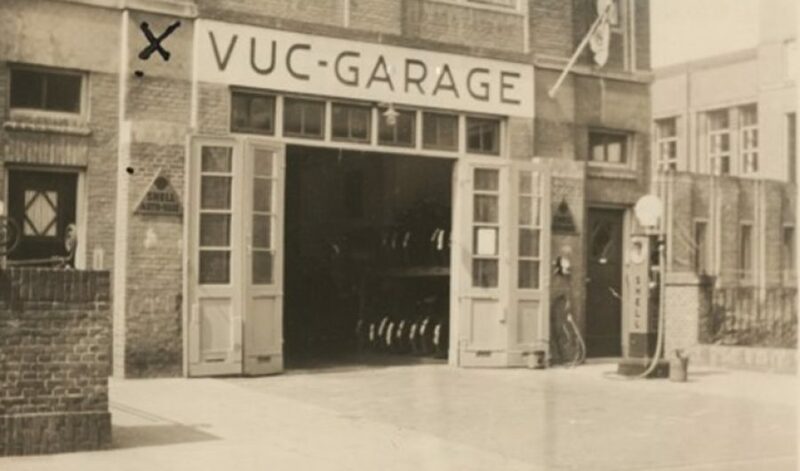 The tram came from Voorburg and crossed the Amalia van Solmsstraat nearby. After the bombing it was not safe in the school building. Children from the Liduina school went to class in nearby VUC garage.